We upgraded the Show Phone Number and Show Location Address tool and now you can add more than one phone number. You can also add more details about your phone number and address to be displayed on the Header menu options. We've added more options to choose from for inside page header designs such as “Center with big bottom line”, “align to side with bottom line” and more. 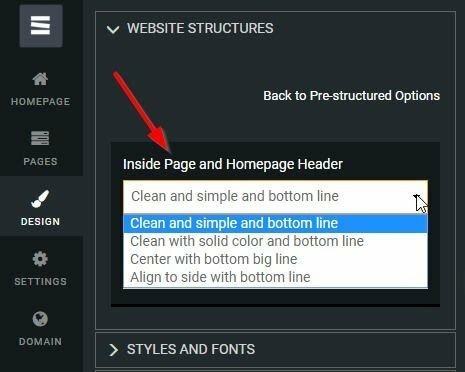 We also moved this option to the “Advanced Structure Options” under “Website Structures”. 오늘 US에서 2053가 넘는 SITE123 웹사이트가 개설되었습니다!